After the news that 13-year-old Jayme Closs was found safe in Wisconsin after being missing for nearly 3 months, there are many emotions being felt by the families of other missing persons. NASHVILLE — After the news that 13-year-old Jayme Closs was found safe in Wisconsin after missing for nearly three months, there are many emotions being felt by the families of other missing persons. Debra Tuders' daughter, Tabitha, was also 13 when she disappeared while walking to her bus stop in Nashville on April 29, 2003. While more than 15 years have passed, Tuders has yet to give up hope. 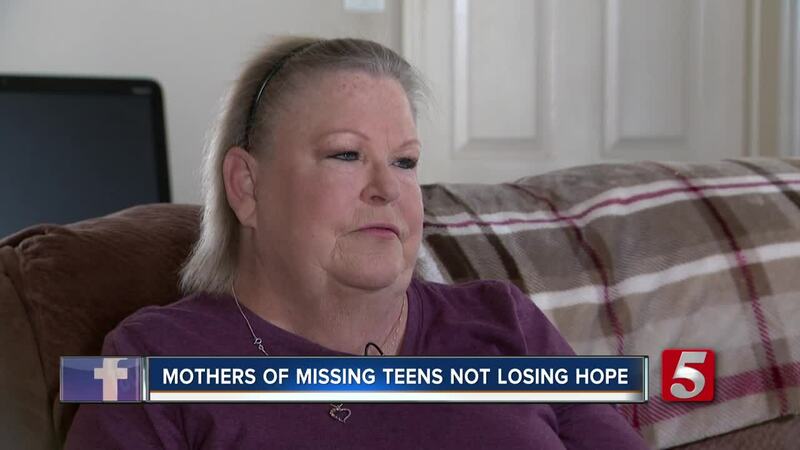 She spoke with WTVF about how the news of someone else's daughter coming home feels while her daughter is still missing. "It's a terrible feeling when you don't know where your kid is but I don't know how I would react if I was to have mine walk through that door. I'd probably faint because I would be so happy to see her," Tuders said. "I mean, it's sad when you hear a story that your child is deceased, I don't want to hear that. I want them to come and tell me that my daughter's alive." Heather Simmers of Murfreesboro, Tennessee is also leaning on hope to find her missing son, Devin Bond, 18. Simmers said Bond left the house overnight in March 2017 and had not returned. "I think hope helps you get through the day ... it makes it easier," Simmers said. When both mothers heard the news that Closs was found alive after missing for almost 90 days, they were glad but could not help but wonder when they may reunite with their child. Anyone with information about Bond may call the Rutherford County Sheriff's Office at 615-898-7720. And you're asked to call Metro Police with any clues leading to finding Tabitha at 615-898-7720.